The Italian government has deported 40 Nigerians for committing various offences in the country. The deportees arrived at the Murtala Muhammed International Airport (MMlA) Lagos yesterday night. The deportees, who are all male, were brought back in a chartered aircraft with registration number EL-SMU/3737. DSP Joseph Alabi, the spokesman of the Lagos Airport Police Command, confirmed the development. 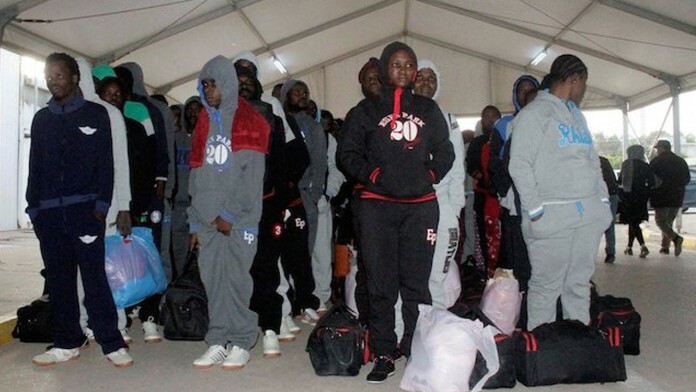 Alabi said 39 of the deportees were alleged to have committed immigration-related offences while one of them was allegedly involved in drug dealing .